EK-XTOP Dual D5 Serial is a fourth generation high-performance aftermarket DUAL pump top (volute) for D5 type water pumps. 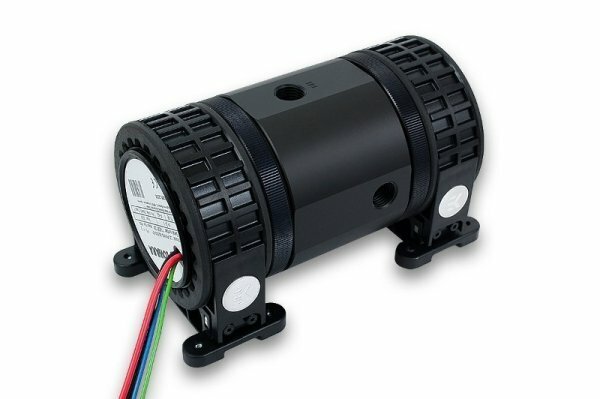 Using two water pumps in series provides almost twice the head pressure of a single water pump and also guarantees top safety measure – in the case of one pump fails the remaining one will provide sufficient liquid flow to prevent any hardware damage due to overheating. Additionally, there is no downtime until next scheduled maintenance. 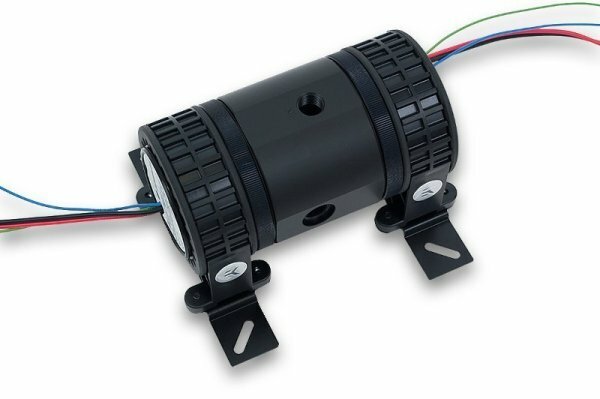 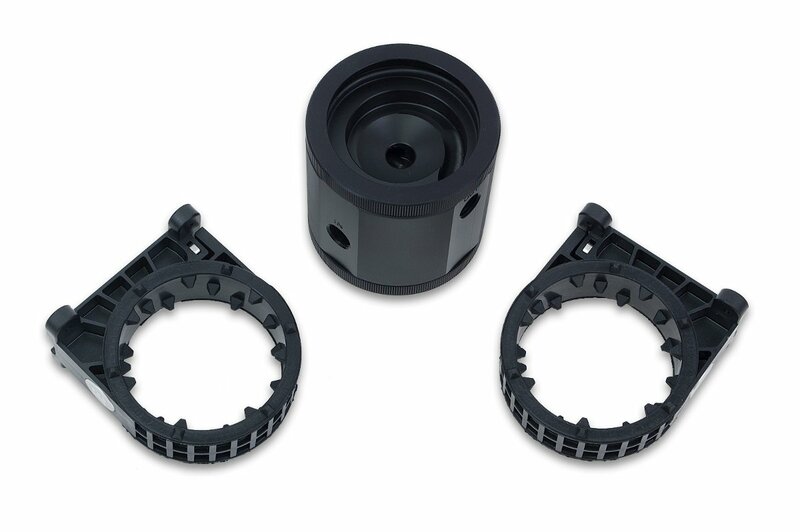 The main body (top) is nested between two special rubber shock absorbers that were previously designed from the ground up and are one of the main features of the Revo series of products. 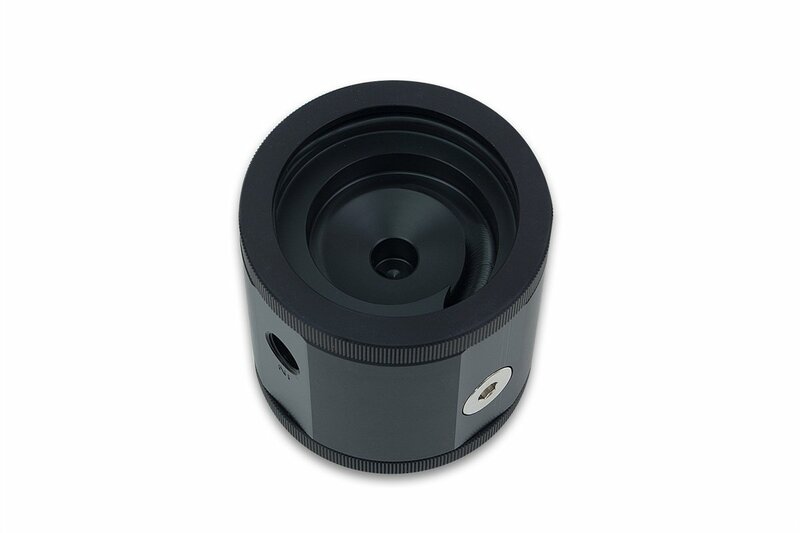 This system features a fully rounded design, thus offering greater usability, allowing installation at any angle within 360° of rotation. Furthermore, these rubber shock absorbers are used to de-couple the main pump body from the mounting clip for silent operation, free of vibration induced noise. This product features three G1/4 threaded ports which allow for installation of virtually any G1/4 thread fitting / barb. 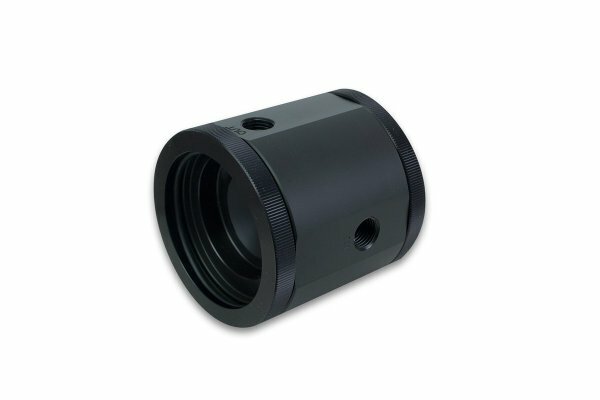 EK recommends EK-ACF series Compression fittings / adapters. 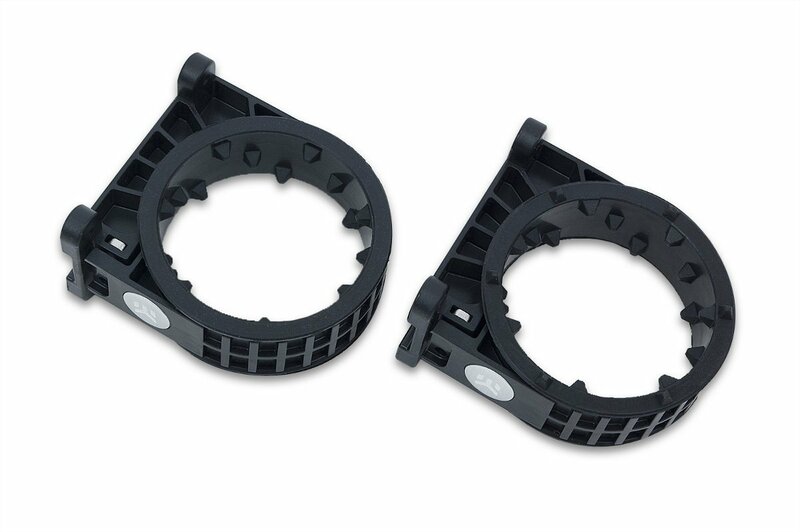 The top is made of quality POM Acetal material, while the tightening nuts are made from CNC machined aluminum. 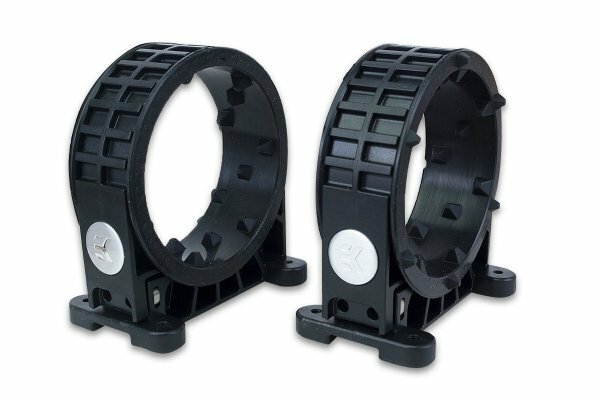 Mounting clamps are made from injection molded ABS. 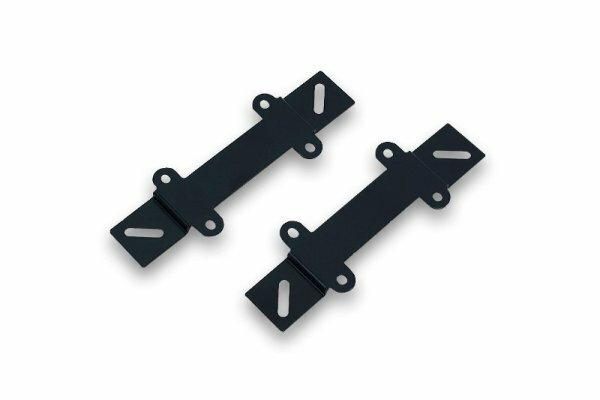 Mounting mechanism with two mounting plates for installing the unit on a 120mm or 140mm fan and easy-to-follow installation guide are enclosed. 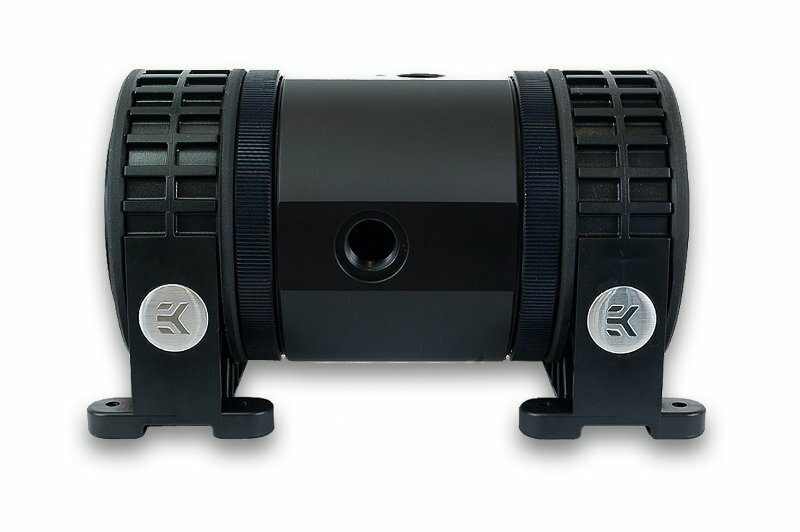 EK-XTOP Revo Dual D5 can be paired with EK-RES X3 150 Lite reservoir. Enclosed: – EK-XTOP Revo Dual D5 Serial – Two mounting clips with rubber insert – Two self-adhesive mounting hole pattern sticker – Mounting mechanism and two mounting plates (incl. required Allen keys) – Installation manual Made in Slovenia – EU!